Villa Kamena is a beautiful summer house located in a small and quiet village Vrsine, just 10 km away from the UNESCO protected town Trogir. Vrsine is a small dalmatian village surrounded by olive gardens, ideal for relaxing in beautiful nature, far away from the noise and stress of the city life. This beautiful Mediterranean house, renovated in 2016 and decorated in a perfect blend of traditional and modern design, has 4 bedrooms, 3 bathrooms and can accommodate up to 9 people. Villa Kamena consists of the main house with ground floor and the attic, a separated studio apartment and the subterranean level. The ground floor of the villa consists of a traditionally decorated and fully equipped kitchen with a spacious dining table and a SAT TV. The kitchen has access to the bathroom with a shower and a bathtub. A beautiful wooden staircase leads to the attic, which is the location of the sleeping area with two single beds, two sofas and a SAT TV. 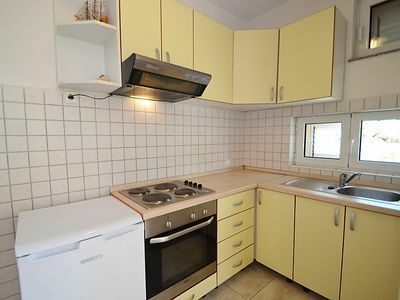 Next to the main house there is a lovely studio apartment with a separate entrance, which consists of two bedrooms with double beds, small kitchen with a stove and a modern bathroom with a shower. In the subterranean part of the main house there is an additional master bedroom with a double bed, a large closet, SAT TV and a lovely en suite bathroom with a shower. Spacious ground area of villa Kamena will provide our guests with a sense of relaxation and privacy and offer the experience of a true mediterranean summer residence. While enjoying in a charming courtyard with mediterranean garden, our guests can also relax in two swimming pools – one for the adults (24 m2, 160 cm depth) and the other one for children (30 m2, 90 cm depth),which also has massage tips and a waterfall. Pool area is also equipped with sundecks and an outside shower. 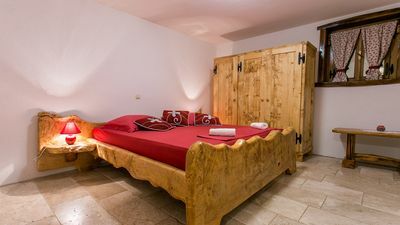 For a complete holiday experience, our guests also have access to the outside grill and a well equipped wine cellar, where they can try some of the best wines Dalmatia has to offer. For those who wish to partake in the traditional dalmatian games, there is also a bocce court. 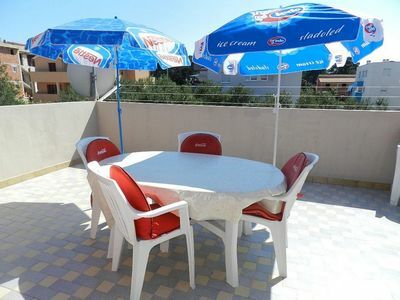 The guests also have access to the separate summer kitchen with a big dining table for 7-9 people and an inside grill at their disposal. Villa has a private parking with 7 parking spots. 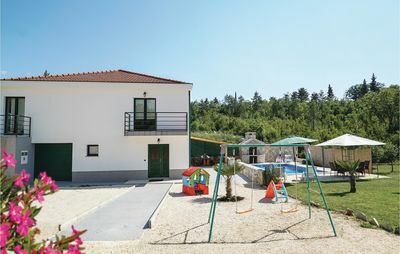 Villa Kamena has air condition and is equipped with satellite TV, internet connection, oven, stove, hood, refrigerator with freezer, dishwasher, electric kettle and tea pot, blender, toaster, washing machine, dryer, hair dryer, iron and ironing board, baby cot and high chair. Guests are also provided with two bikes. 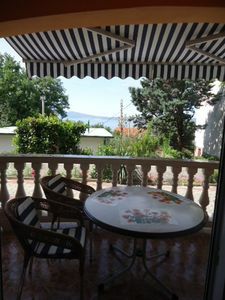 The distance from the sea is 1800 m, from the village center is 1 km and from the Split airport is 14 km. The entire property is laid on 1700 m2. 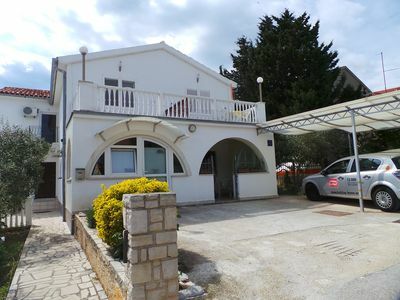 Spend a relaxing and peacefull holiday in villa Kamena and enjoy in untouched natural beauties of dalmatian coast!